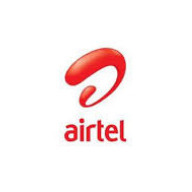 Happy Sunday guys, the latest coming from Airtel Nigeria is their Facebook plan which offer N10GB, N20GB and unlimited data for just N100, N200 and N300 respectively. I know many people would doubt this , but if you have been following Nairabit, you should know that we don't post what is not real or what has not been confirmed working, by us. This is not some kind of cheat nor tweak, but a legitimate subscriptiton plan from Airtel as you can see in the screenshots below. It works on both 2g and 3g networks and from my data usage I don't think this airtel plan zaps data much. Can I use it to brows and download? Some claim that it powers all app on their phone without any tweak, but we cannot confirm that, so try and see how it works for you. But what we have confirmed for now are those details above. We will keep you updated. Use the comment box for any issue(s).